Heads up, Hasselblad fans and users! The company has recently announced adding New York City to its expanding number of brand stores and experience studios. As with the branches in Shanghai, Shenzhen and Tokyo, the photography community can connect with Hasselblad directly through this new studio. The space, conveniently situated in Manhattan, offers appointment-based hands-on demonstrations, workshops, and community events that photographers can take advantage of. The New York Studio is equipped with Hasselblad’s state-of-the-art imaging technologies and features broncolor lighting tools, as well as Phocus software workstations. Visitors can also consult imaging specialists regarding the best photographic tools and technical tip. Potential buyers can also get connected with Hasselblad’s dealer network for their future purchases. Check out Hasselblad’s Brand Store website at hasselblad.com/brand-stores to learn more about the New York Studio and schedule an appointment. Hasselblad is proud to announce the latest addition to its growing brand stores and experience studios. Joining branches in Shanghai, Shenzhen, and Tokyo, the New York Studio offers the photography community a chance to interact with Hasselblad directly. In partnership with DJI’s New York office, the space allows for appointment-based hands-on demonstrations, workshops, and community events, conveniently located in Manhattan. Outfitted with Hasselblad’s latest medium format imaging technologies, the New York Studio also features broncolor lighting tools, and Phocus software workstations to fully experience the capabilities of Hasselblad products. 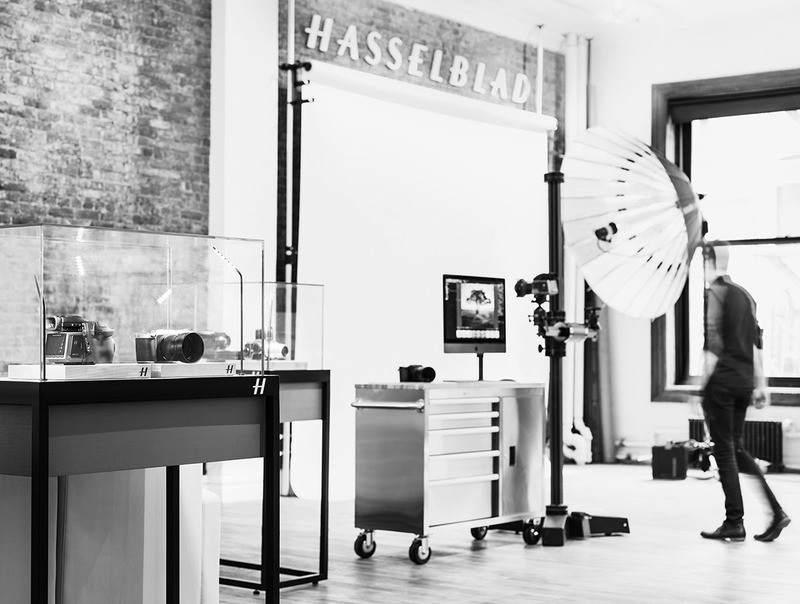 Imaging experts will guide visitors through the best photographic tools, provide technical pointers, and connect customers with Hasselblad’s established dealer network for purchase opportunities.